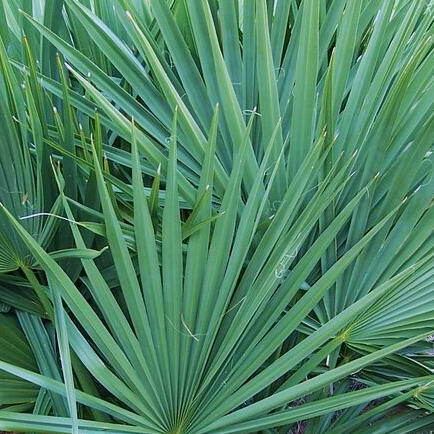 A good way to use Sabal minor in the landscape is to mass plant them like they grow in their native habitat. They will grow in full sun but are also very effective for use in wet shady areas where very few other plants would thrive. 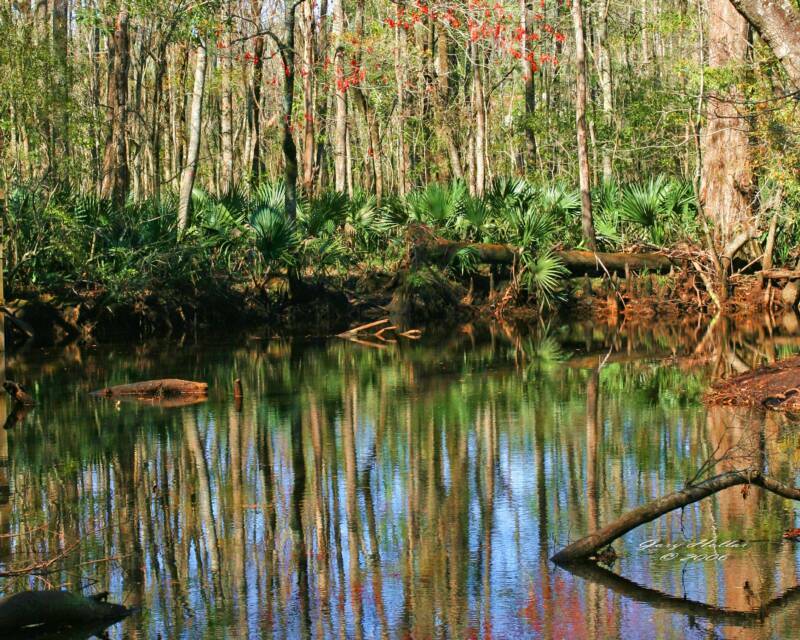 The above location was documented by early botanist who visited Craven County, NC in 1927. I "discovered" this location about 1997, but only recently found a spot to take a photo of this view of them across the creek. Sabal minor planted in the shade of Natchez crape myrtle in dry sandy soil. Keep them irrigated their first few years and then they are amazingly tolerate of dry soil. 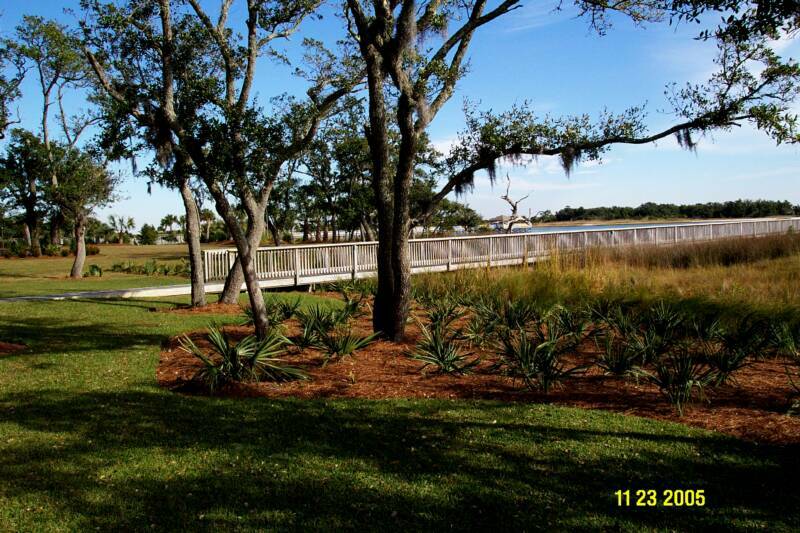 Sabal minor used as a hedge on a sandy berm under live oaks..
Sabal minor used as a transition plant between a lawn area and the marsh. 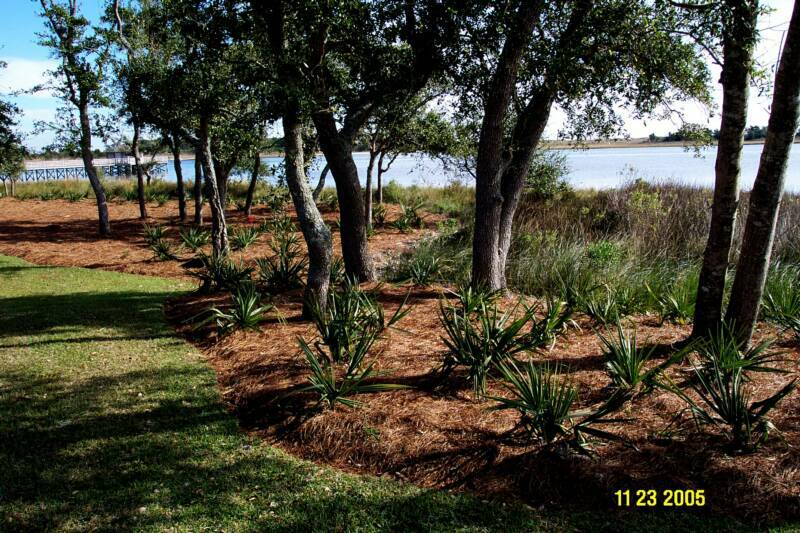 Note the existing native Sabal minor to the far left of the plant bed.